There’s nothing like seeing your project displayed on a wall. That sense of pride and accomplishment; that sense of knowing someone values your work… priceless! So how do you do it without going overboard? 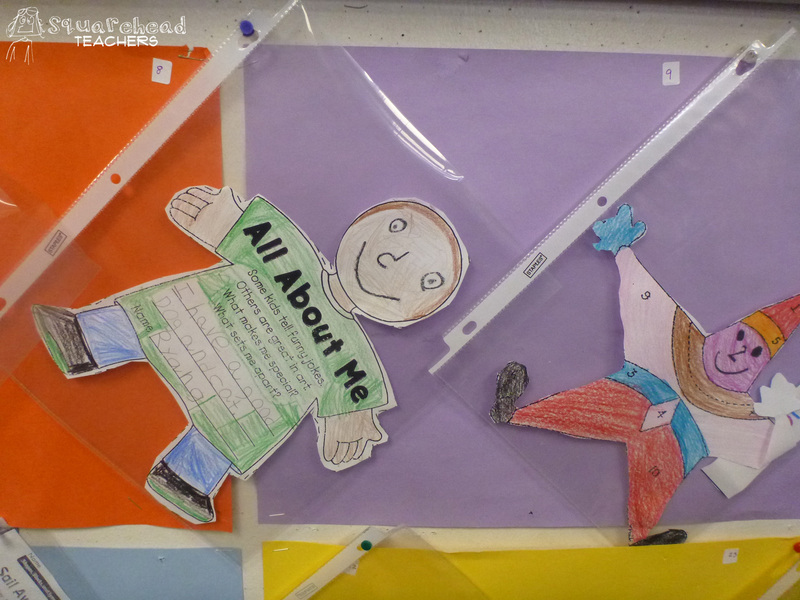 How do you display student work in a way that fits the theme/feeling of your room? This way is by far the easiest I’ve ever done or seen. We hung sheet protectors on push pins below the whiteboard (anywhere low where students can reach easily will work). Each sheet protector was numbered according to class number and each kid was responsible for swapping out their project on display. Each table had a day of the week during a specific time when they could swap out their work (for example, during seat work time). Sometimes we all swapped out work at the same time, usually after an especially cool project, before open house, etc. 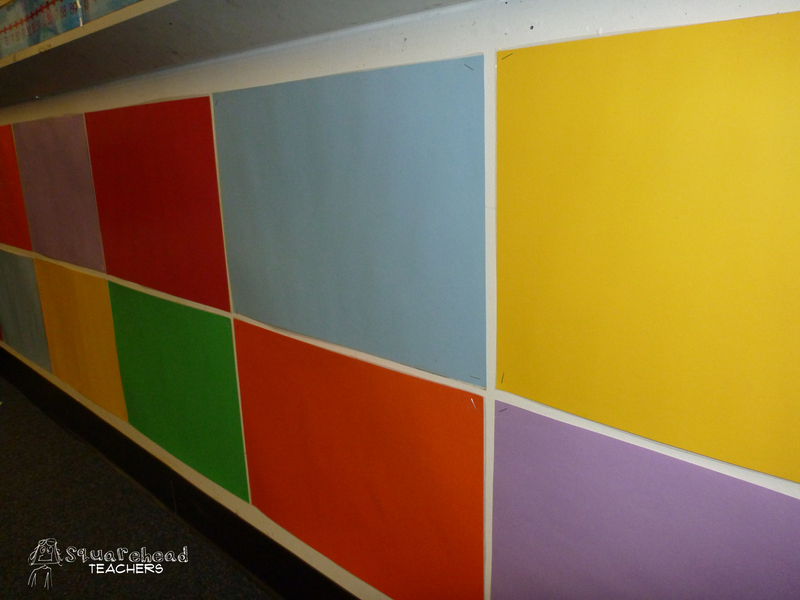 We laminated the construction paper first and used plenty of staples to attach them to the wall. 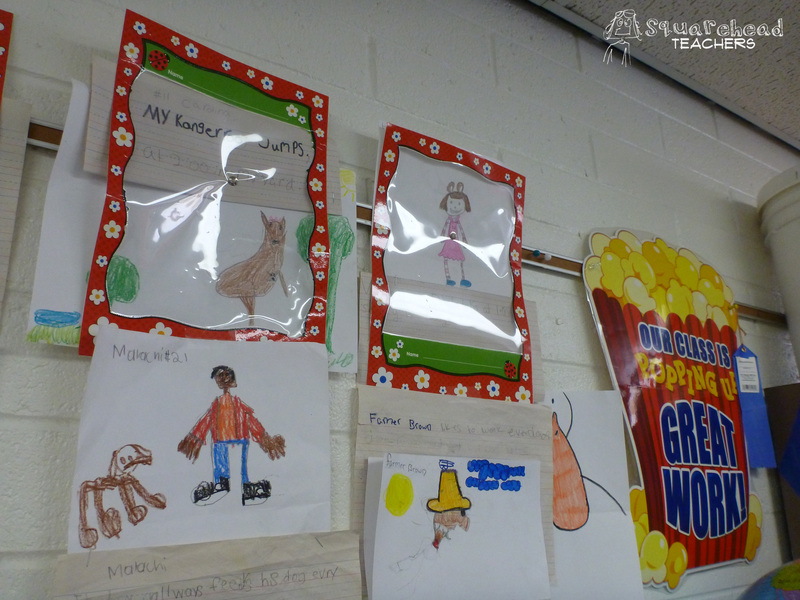 Another teacher lets kids pin projects to the fabric covering her shelves so more student work can be on display. 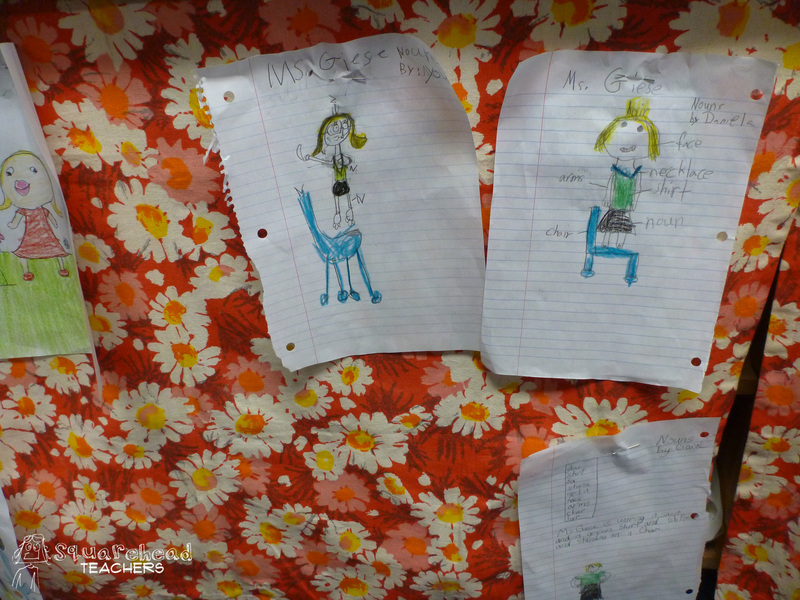 One teacher used sharpies and stickers on overhead transparencies to make impromptu frames to pin over student projects. 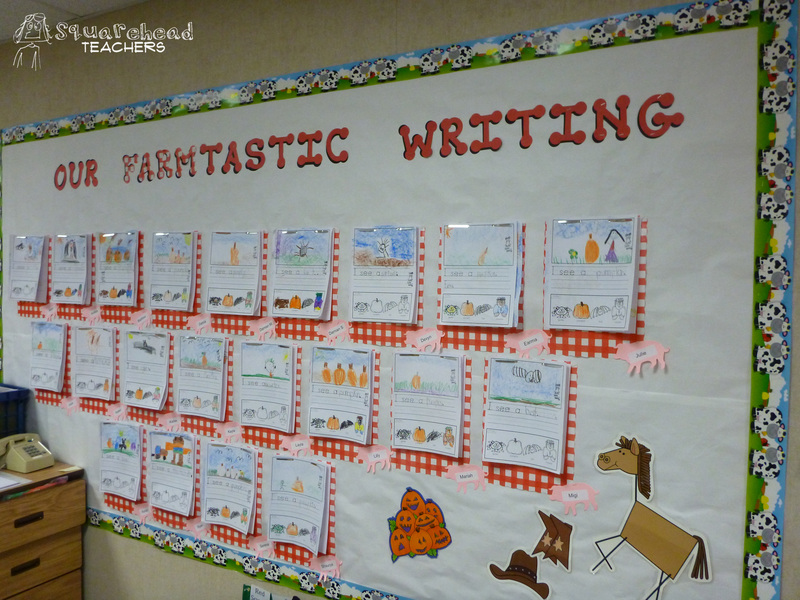 Bulletin board for farm themed room. These laminated paper pencils have slits in them where the teacher stuck paper clips, so it would be super fast to swap out work. 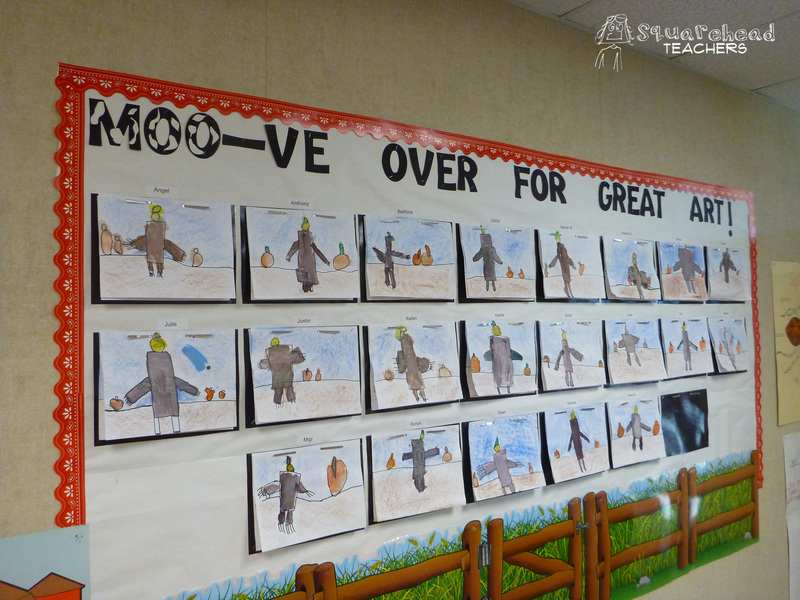 Click here for more ideas on displaying student work. 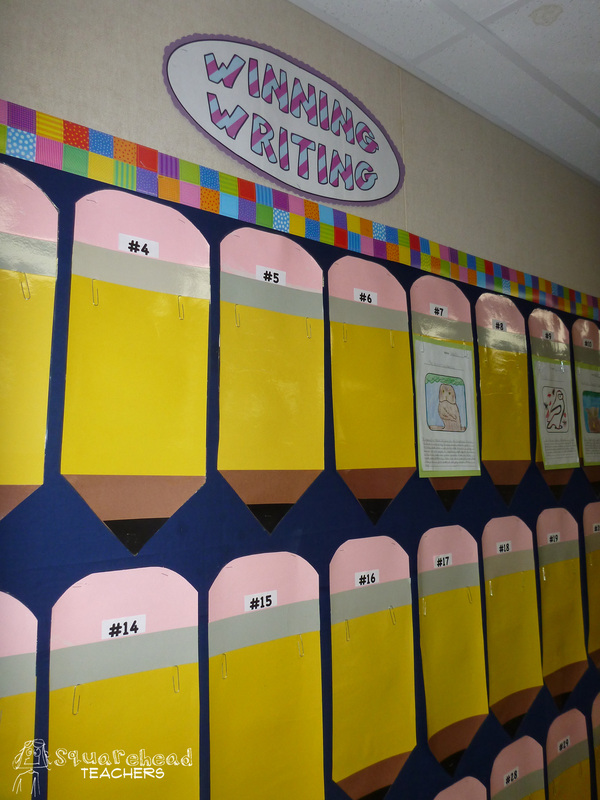 This entry was posted in Bulletin Boards/Walls, Classroom & Decor and tagged bulletin boards, displaying student work, Education, Elementary School, Homeschool, Teacher Resources, Teachers, Teaching by Squarehead Teachers. Bookmark the permalink.